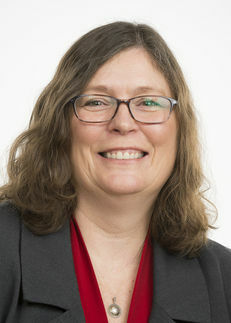 Trina Innes joined the University of Alberta (UAlberta) in 2009 as the inaugural chief sustainability officer and director of the Office of Sustainability. She facilitates solutions for integrating sustainability into UAlberta’s procedures, practices and campus life. Trina has concentrated her efforts on strategic leadership, awareness programs, and fostering the capacity for change. Trina facilitated UAlberta’s first two sustainability plans, benchmarked her institution’s sustainability performance, and inspired the creation of many initiatives. She has championed dozens of opportunities for students, faculty and staff to increase their awareness of campus, local, regional and global sustainability issues and solutions, and nurtured numerous action projects that integrate sustainability into campus practices/services, social norms, experiential learning and professional development. Under her leadership, UAlberta has achieved a gold rating in the Sustainability Tracking, Assessment & Rating System, received an Alberta Emerald Award, and been recognized as one of Canada’s Greenest Employers for 8 years running. 1 Leading change requires us to think differently about systems, their interactions and change agency. Formal training in change management and stakeholder engagement is beneficial. 3 Campus audiences are at varying stages of readiness when it comes to engaging in sustainability. A comprehensive campus sustainability initiative will include a range of opportunities to ignite people’s awareness, understanding, skills and action.